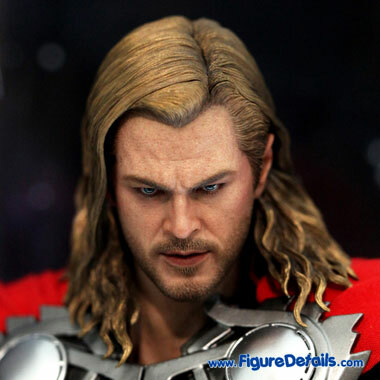 - Fully realized action figure likeness of Chris Hemsworth as Thor in The Avengers movie. 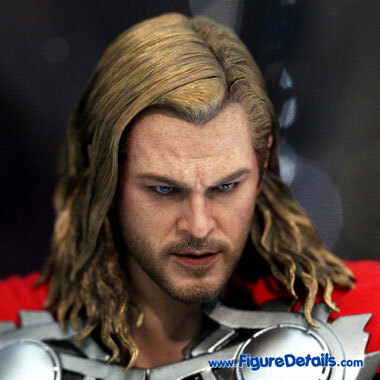 - Newly developed Thor head sculpt, and costume. 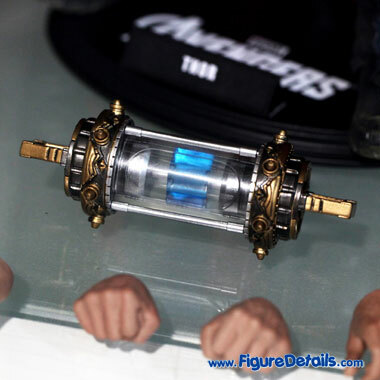 - One authentic metal mjolnir with patterned holder and leather-like strap at the end. 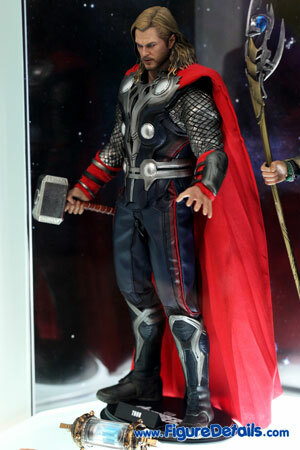 Here I show you the photos of Thor Limited Edition Action Figure that is now displaying in the Hot Toys store. 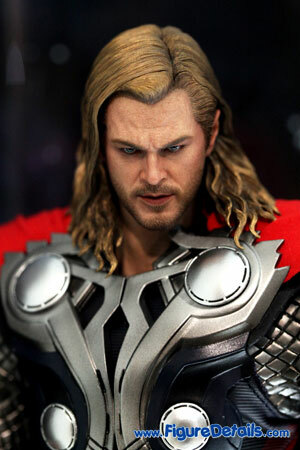 Thor - Chris Hemsworth - from movie: The Avengers. 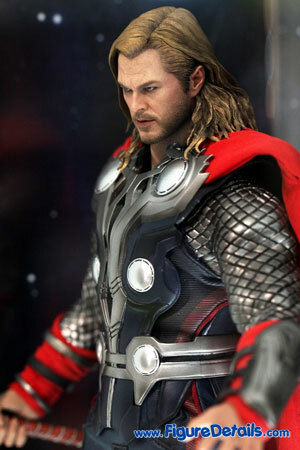 This is the second Thor from Hot Toys. 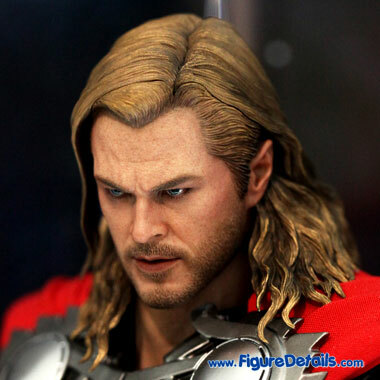 When compare with Thor from movie: Thor, you find a big improvement no matter on head sculpt or costume. 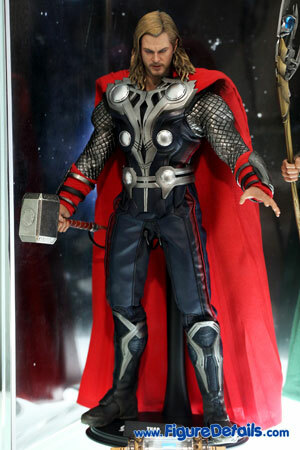 The only thing is that this Thor doesn't come with helmet. Anyway, the helmet is not shown in the movie. So you will not regret to have the first Thor. Both are good action figures.